On the 21st of February Audio-Technica South Africa, distributed by ApexPro, officially launched the ATUC-50, an innovative new offering from Audio-Technica in the conferencing space. Audio-Technica’s Conference Business Development Manager EMEA, Sandra Kellerman, came all the way from Denmark to officially launch the exciting new ATUC-50 Digital Discussion System and offer in-depth training on its use and features. The event was held at the picturesque Blandford Manor conferencing venue in northern Johannesburg. This new entry-level system has raised the bar for sound quality and speech intelligibility with its 24-bit/48kHz uncompressed digital audio and is extremely easy to use along with plug and play functionality. With a 5 year warranty the ATUC-50 offers reliable, clear and intelligible communication to significantly increase meeting efficiency and effectiveness. Aadil Matwadia, National Sales Manager for ApexPro had this to say; “I really found the training to be very informative. It was very useful to see what we are up against in the market place with this system. The ATUC-50’s ease of set up and sound quality were the highlights for me”. 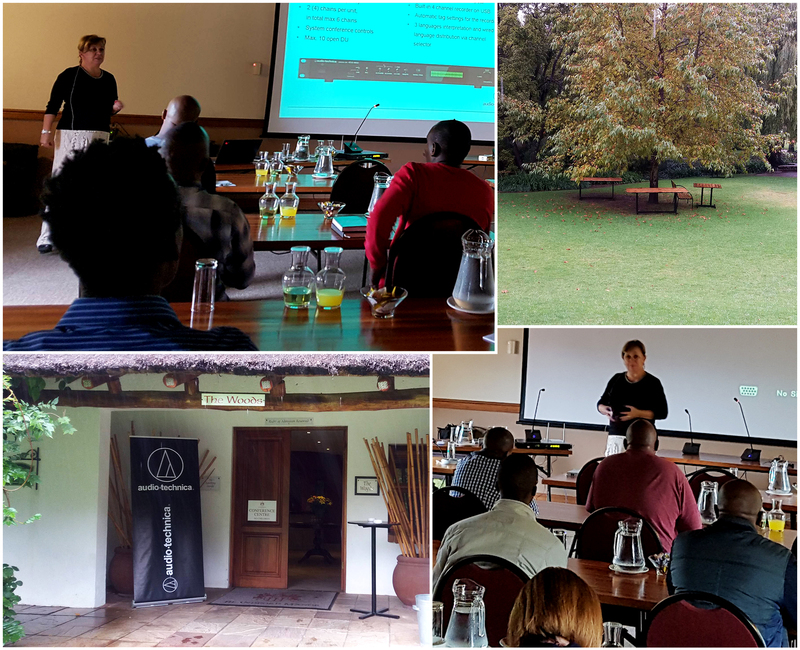 After two very successful training sessions in Johannesburg, Sandra went on to Cape Town where customers were again very enthusiastic about the system. We predict that the ATUC-50 will find many fans in South Africa as an easy to use, highly adaptable and great sounding system in the entry-level tier of conferencing.